There are few things more exciting than traveling to a new city or exploring one of your very favorite places to visit. Whether you’re in need of a relaxing beach vacation, or you’re looking to walk the vibrant streets of a bustling city, sometimes a quick international trip is exactly what’s needed. Unfortunately, finding enough time to get away can seem like a major chore. There is the task of getting a new passport, and then planning the actual travel itself. Where do you begin looking for the best international flights? Is it possible to go somewhere fun without spending hours upon hours on a plane? Don’t worry, international travel doesn’t have to be difficult! We’ve rounded up some of the best, quick international flights from cities all across the United States. If you’re looking to plan your next getaway, there’s a great chance your exciting destination is just a short flight away. Let’s begin! Before you start packing your bathing suit and your sunscreen, be sure to double check whether or not getting a new passport should be on your list of things to do before you take off on your trip. If it’s time for a new passport, don’t sweat it! Getting a new passport is incredibly simple if you know where to turn to for help. The Passport Office specializes in helping people with the passport process, from start to finish. In fact, their process for getting a new passport is just three easy steps and can be done online. You start by filling out an application of several questions. Once you submit the form, you’ll receive detailed instructions on what to do next. Last, the Passport Office team will help prepare your documents for processing. Don’t let the idea of getting a new passport prevent you from taking an exciting trip. We’ll walk you through the entire process and ensure you have everything you need. Total Plane Time: 1 ½ hrs. If a beautiful beach getaway is what you have in mind, the Cayman Islands is a fantastic option to consider. For people located in Miami, you can catch a direct flight to the Caymans that’s only an hour and a half! Airline Southwest routinely flies this route, for between $300- $500, roundtrip. The Caymans consist of three different islands, with Grand Cayman being the largest of the bunch. There are numerous gorgeous beaches to explore, as well as the opportunity to see local marine life such as sea turtles and stingrays. If you plan your trip in May, you’ll also be able to catch the annual Carnival activities, known as Batabano. Total Plane Time: 4 hrs. Calling all New Yorkers! Port-au-Prince, Haiti is a unique and historic adventure, perfect for a weekend getaway. After a quick, four-hour flight, you’ll be ready to explore this remarkable city, full of beautiful beaches and local culture. Haiti is ideal for the traveler who wants to see stunning architecture. Additionally, the country features picturesque waterfalls and incredible seafood cuisine. If you’re looking for a new and exciting vacation spot, consider Haiti. You won’t regret exploring the local flea markets and food vendors, and you simply can’t beat the quick four-hour flight there from NYC. Delta, JetBlue and many others frequently make the quick trip between New Jersey and the Bahamas. Nassau, the capital of the Bahamas, features a bustling city with a laid-back island feel. The Bahamas offers all the essentials you need to be comfortable while on vacation, with gorgeous beaches and incredible weather almost year-round. Once on the island, travelers commonly take smaller planes to island jump and explore the outer, more remote islands. As a well-known travel destination from the Northeast United States, the Bahamas are ideal for long weekend trips. If you are more of a cold weather person, consider heading north for an easy getaway. For those of you located in the San Francisco area, Calgary is a fantastic destination to explore. After getting a new passport, in just two and a half hours, you’ll be transported from busy northern California to breathtaking scenic views in western Canada. Plane tickets typically cost approximately $300 or so. Whether you’re looking to horseback ride, rock climb or even heli-hike, Calgary is all about being outdoors. This area is truly ideal for the nature lover and outdoorsmen. For an affordable and quick international trip, Mexico is a fantastic option for travelers located in Los Angeles. The Cancun area features something for everyone, from the socialite and partier to the introvert who wants to explore nature. Although you may think of Cancun primarily as a party destination, there are many areas close by, such as Isla Mujeres, that offer a more tranquil and peaceful vacation opportunity. Explore art museums, take in the local culture at food markets or simply relax on the beach in Cancun, Mexico for an inexpensive and easy trip. Step one in your Mexico trip planning? Getting a new passport and ensuring you’re ready to travel internationally. Looking for an international travel destination that offers culture, major history, and incredible food? Search no further than Quebec City. Picture narrow, cobblestone roads, incredible historic buildings, and a romantic French accent and that’s Quebec! The city offers many quaint bakeries, cafes and bars that can easily be explored on foot for the traveler who loves great food. Just four hours from Chicago, you’ll be on your way to one of the most spectacular travel destinations in North America. Total Plane Time: 2 hrs. Located just two hours from Boston, Hamilton, Bermuda is another amazing warm weather travel spot to consider this year. Tourists can explore Bermuda via local bike trails or on a paddle board in the ocean at a local beach. The country is full of bright colors, sunny skies and a fun downtown full of local shops. Be sure to add Bermuda to your list of quick international flight options this year! Start by first getting a new passport to ensure you’re ready to go. Continuing our list of incredible beach vacations, for travelers located in Philly, the Dominican Republic is a must-see location. Popular vacation spot Punta Cana has many resorts that offer numerous all-inclusive vacation opportunities, so you don’t have to worry about planning a single accommodation once your trip is booked. Along with the 70-80 degree weather year-round, it’s truly a fantastic vacation option. Consider getting a new passport and packing your bags for Punta Cana this year. For East coast travelers, Costa Rica is a quick and easy destination. Costa Rica is ideal for people looking to enjoy warm weather and who also want to explore fun outdoor activities. Known for its active volcanoes, horseback riding, bungee jumping and zip lining, you don’t have to worry about being bored while in Costa Rica. The best part? Travelers coming from Atlanta can get there in just under four hours. Guatemala offers adventures galore for people looking to take a trip somewhere new and exciting. From volcanos to bar hopping and exploring beautiful lakes, Antigua, Guatemala does not disappoint. Antigua is a popular destination for backpackers and those looking to explore incredible historic towns, such as Panajachel, San Pedro, and San Marcos. If you’re looking for fun, quick and exciting travel opportunities this year, there are tons to choose from. Regardless of which corner of the United States you’re located in, there are tons of international flights that can transport you to a new city in a matter of a few hours. Start preparing for your next international trip by first getting a new passport, and then researching where you want to explore. The Passport Office can assist you with getting a new passport, renewing your passport and asking all of your passport related questions. Begin the process online or schedule an appointment at one of our locations. Picture this: you’re enjoying yourself on the incredible vacation you’ve been planning for several months. You made sure to take all the necessary precautions of printing backup copies of your flight itineraries, your hotel confirmation and your ground transportation details. However, halfway through your amazing trip, you realize you can’t find your U.S passport and panic starts to set in. Dealing with a lost or stolen passport while traveling abroad can be a helpless feeling. There are probably a million questions that cross your mind, such as what do I do first? Can I call the U.S. government from abroad? How am I going to get back to the United States again? Before you fret, there is good news; there are several steps you can take to rectify the situation and deal with your lost or stolen passport like an expert. Explore our top tips for navigating this scary situation so you’re able to get back to enjoying your vacation. 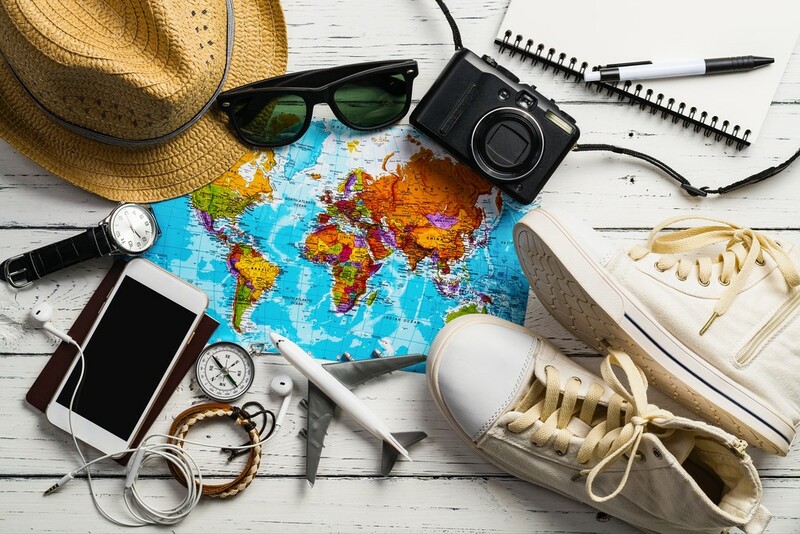 These tips will also ensure that you’ll be well prepared the next time you travel out of the country! Let’s get started. Contact information for the U.S. embassies and consulates is also available on the U.S. Department of State’s website. You may also wish to contact the Office of Overseas Citizens Services, U.S. Department of State in Washington, D.C, at 1-888-407-4747. Once you’re at the embassy, you’ll want to ask to speak to the Consular Section to report your lost or stolen passport. They will guide you through the process and let you know the exact steps that you need to take. If you’re scheduled to leave the country that you’re visiting soon, be sure to let them know so they’re able to set things in motion as soon as possible. When you lose your passport in a foreign country, you will be given a one-year limited passport in order to return to the United States. You will have one year from the issue date of the limited passport to mail it back for a regular 10-year passport. In order to initiate that process, you would need to send in proof of citizenship, a new photo, the letter mailed to you accompanying the limited passport, a new photo, form DS-5504 and a copy of your ID. If you delay beyond the 1-year validity of the limited passport, you will need to take the extra step of visiting a passport office to have your identity verified rather than just mailing it in. 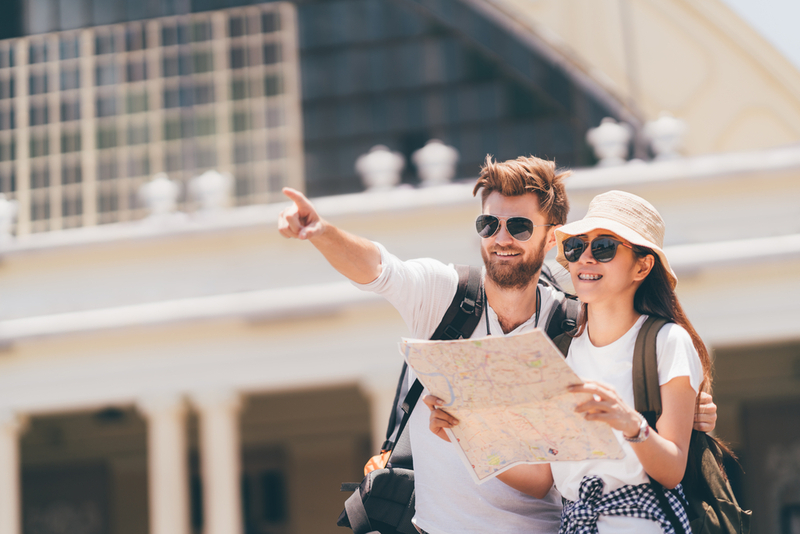 Before you take off for your next trip overseas, consider researching where the nearest U.S. embassy is relative to your vacation destination. This will ensure you’re super prepared and know exactly where to go in the event that you’re dealing with a lost or stolen passport again. If you are confident that your passport was stolen rather than misplaced, be sure to file a report at the local police station. That way, local authorities can begin looking for whoever took it, and ideally, help prevent them from stealing additional passports in the future. Also, in certain countries, you cannot get a new passport issued until you have officially reported your original one missing, so this is an important step to take. If you’re unsure of where to find the nearest police station, ask staff members at the U.S. embassy and they can point you in the right direction. Although no one can foresee a lost or stolen passport, it’s always better to be over prepared in the event you’re ever forced to deal with this situation while on a trip overseas. As you’re packing for your next trip out of the country, make photocopies of your passport information as well as your drivers license. Be sure to pack those backup copies in a different bag than your original copies, in the event you lose your purse or luggage. That way, when you’re dealing with a lost or stolen passport, you will still have the backup copies to prove to the U.S. embassy that you are who you say you are when filing for a new passport. In addition, be sure to take pictures on your phone of all these documents (passport and drivers’ license) and email them to yourself, that way you will always have a stored copy somewhere that you can access. When experiencing a lost or stolen passport, there is a lot of paperwork that comes along with rectifying the situation. If you’re able to, get a head start on the process by printing a DS-11 and a DS-64 form from the U.S. embassy’s website before you head to the embassy. Fill out the form as best as you can and also try to locate any other forms of identification you have on you. Getting a new passport photo. The embassy will let you know where you can go to get a new picture taken. Providing a written statement about where and when you may have misplaced your lost or stolen passport. Filling out a standard application for a new U.S. passport. Your copy of the recent police report you filed for your lost or stolen passport. Unfortunately, dealing with a lost or stolen passport can be a bit expensive. You will be required to pay a fee for your new passport when you apply. You will also incur costs when you get a new passport photo taken. There may be additional costs of traveling to the local police station and finding the nearest U.S. embassy. Consider packing an additional “just in case” fund when you travel abroad in the event you run into issues with your lost or stolen passport and need to pay some of these out-of-pocket, unexpected fees. This step may be the most challenging of them all! Although the U.S. embassy in the country that you’re visiting will do their best to help you as quickly as they can, it may take a bit of time to get your new passport. Also, it’s important to note that the embassy cannot issue a passport during the weekend or over a holiday. There may be very rare exceptions, such as a life or death emergency, but otherwise, you will need to wait until Monday morning. How quickly you will be issued a new passport will depend on your travel plans. In certain cases, you may be able to obtain an emergency passport that will come in approximately 24 hours or so, which would get you back to the U.S. but would not be valid for travel anywhere else. In most situations, it will take at a minimum, several days to get your new passport delivered to the country you’re located in. If you’re within the United States and need a replacement passport, The Passport Office can help. Our experienced professionals specialize in walking people through dealing with a lost or stolen passport situation. In a few easy steps, we will have the correct paperwork filed and your documents prepared for processing. Begin the process for an expedited passport online today, or contact us to schedule an appointment at one of our locations across the United States. We look forward to assisting you! You’re all packed for the big trip. Ready to explore the sights and sounds of an African Safari – or see the Great Wall of China. But did you pack your Visa? We’re not talking about visa credit cards. We’re talking travel Visas. Officially speaking, a visa is an endorsement. It grants a passport holder entry into a country for a specific time-period. Every country has a unique set of rules that dictate which nationalities can enter with or without a visa. US citizens have one of the ‘strongest’ passports in the world and can travel without a visa to 116 countries. This is fantastic – until you realize there are over 80 countries that require a Visa of some kind. Forty-nine of them are ‘eVisa’ or ‘visa on arrival’ countries. – ‘eVisa’ is an option that enables travelers to submit a visa application online prior to visiting a country. It enables you to enter a country immediately upon arrival with a passport and visa on hand. – ‘Visa on arrival’ allows a traveler to purchase a visa when arriving to their destination country. For example, upon crossing the Mexican border – visitors can purchase a six-month tourist visa for $25. Plenty of time for tamales, tequila and addressing an endless taco addiction. Travel is fun – but logistics can be a bureaucratic drag. Obtaining visas requires yet another step for people to deal with in their travel. But don’t forget, there are also 33 countries that require US citizens to obtain a physical visa prior to arrival. When this is the case, you’ll need to undergo an often-lengthy process that takes time, paperwork and money. Our Visa Service Department assists with the process. If you need a new passport, visa, or both: we can help make the application MUCH smoother. Check our list to see if your upcoming travel destination requires a visa. If so – don’t panic. Refer to our website where you can select your destination and see which visas are available. It isn’t easy for US citizens trying to visit this beautiful ancient country. Chinese law requires US passport holders to apply for a visa at their local Chinese consulate. Once the visa is ready, they require applicants to pay the application fee and pick up the visa from the Embassy or Consulate General. This a massive inconvenience for people who live hundreds of miles from their nearest Chinese consulate – for US tourists, China requires a particularly long list of documents and a travel itinerary. Luckily, we aim to please. For over 20 years, our service has allowed people to get their passports and visas quickly and without taking time and expense to go to the nearest Chinese consulate. One of the strictest countries for US citizens seeking a visa. To explore the world’s largest country, US citizens will undergo a complex visa application process that is infamous for rejecting applicants for the smallest of reasons. You’ll be needing a shot of vodka before you even get to Russia. Applicants must submit (and pick up) their visa applications at a regional office. You need a lengthy list of documents and (also) an invitation from a host, tour operator or hotel in Russia confirming your stay. It’s such a time intensive process it should almost be a crime to not have your Russian visa expedited. The amount of time and effort saved would seem a no-brainer. 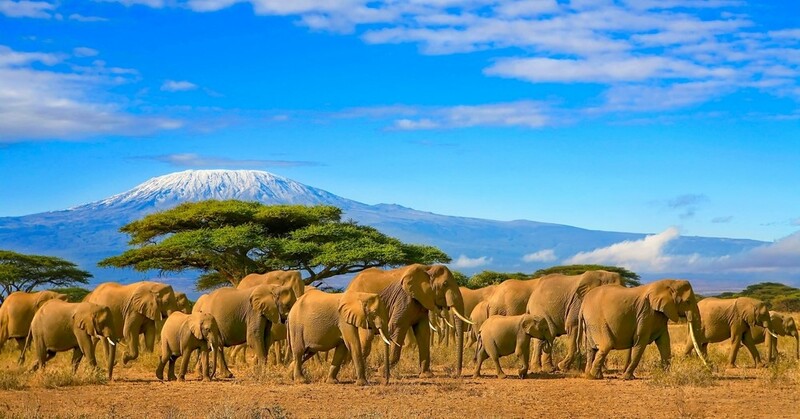 Most African countries require US citizens to obtain a visa – and east Africa’s most popular tourist destination is no exception. It’s a country that is home to some of the world’s most well-known safaris, national parks and of course Africa’s largest mountain – the majestic Mount Kiliminjaro. Kenya is an eVisa or ‘visa on arrival’ country which means we can help you get your visa quickly and in as little time as 1-2 days. The perfect option for people who want to leave the bureaucratic work to us – and walk straight into Kenya on arrival. Before you decide to elope out to the pyramids you’ll need to get your passport and visa sorted out. Luckily, Egypt is another eVisa country which enables our Visa Service Department to process the application in 5 business days or less. Once that is taken care of, you’ll be walking like an Egyptian in no time and enjoying the sights and sounds of one of the world’s most fascinating and breathtakingly historical countries. Between pyramids, ancient cities, citadels and temples… it’s very tempting to apply for our own visa right now! Meet us at Mount Sinai? Visitors to India should expect a complex visa processing system which has many variables to consider. There are business visas, tourist visas and a variety of other options such as student, conference, research and so on. US citizens can apply online for an eVisa but should be advised that travelers can only use the visa to enter one time for up to 30 days. Also, it is only for use entering India through a list of specific airports and seaports. If you apply for a visa at an Indian consulate, you can get a multiple entry visa that is valid for up to 10 years. But the primary drawback is that the application process is lengthy and requires a surprising amount of paperwork and time to complete. Take a look at our website for details on which visa you will need. Once you decide which to apply for we will give you straightforward steps to make the process as fast and painless as possible. It makes us happy when things are this easy. Carnival nights. Colors in the lights. Caipirinha cocktails with sugar and ice. If you are looking to experience the many sights and sounds of the world’s most diverse country; you must apply for a visa in advance. 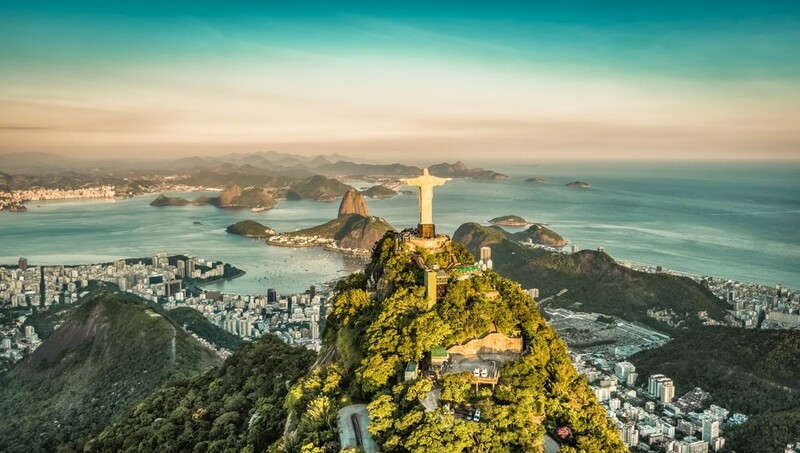 Keep in mind that there are a multitude of options for applying for a Brazilian Visa. The United States is one of four countries whose citizens can apply. These visas are valid up to 10 years and good for up to 90 days at a time. 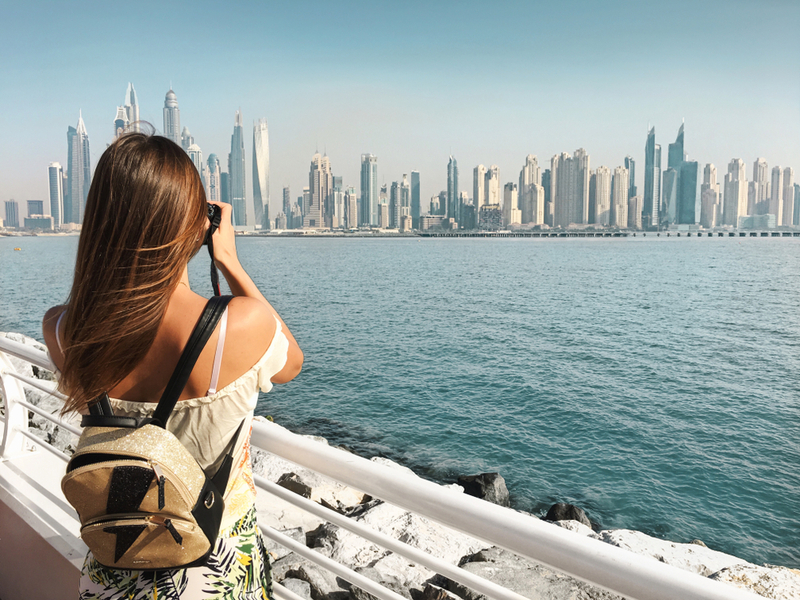 We keep our application streamlined and try to make it as easy as possible for people applying: tourist visa applications only have 7 steps in our process. One of the most popular travel destinations in Asia. Extremely popular for adventurers and culture lovers. Boundless nature, culture and foodie heaven paradise. Home of the legendary pho soup, a breakfast dish that has won the hearts of Americans and become a steadfast dinner delicacy on this side of the Pacific. It should be noted that Vietnam requires visitors to obtain a visa prior to arrival. To obtain the visa, you must apply at one of the multiple embassies that Vietnam maintains in the United States. They offer regular visas that get stamped inside your passport or a loose leaf visa that is detached from your passport. Check out your options and apply today. Not only one of the most underrated and undiscovered travel destinations; Algeria is also the tenth largest country in the world. It is an African country with surprising roots in both Arab, French, and multiple ancient dynasties across the millennia. US citizens are required to obtain a Visa and it should be noted that they may be denied entry if their passport contains Israeli stamps or visas. 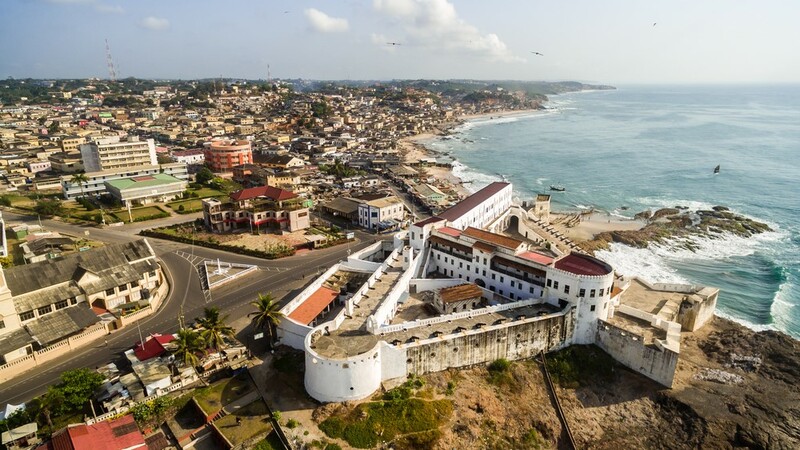 Ghana is an African power that spans a rich geographical area on the Ivory Coast of Africa. The country has a multi-ethnic heritage and long complex history. Many empires have contested the area due to its strategic location and abundant natural resources. In order to visit – US citizens need a Visa to visit Ghana and will also need to obtain an International Certificate of Vaccination. For travelers hoping to visit the Islamic Republic of Iran, they must undergo a complex application process. They must first obtain a Visa from the Embassy in Pakistan in Washington, DC prior to traveling to Iran. This is because Iran does not have a consulate in the United States. Upon arrival US visitors are fingerprinted and photographed on entry – independent travelers are required to be escorted by a government authorized guide during the entire duration of their trip. As US citizens must adhere to a complex application procedure and can only apply at a specific Embassy, it is a huge benefit to have an agency take of the process. 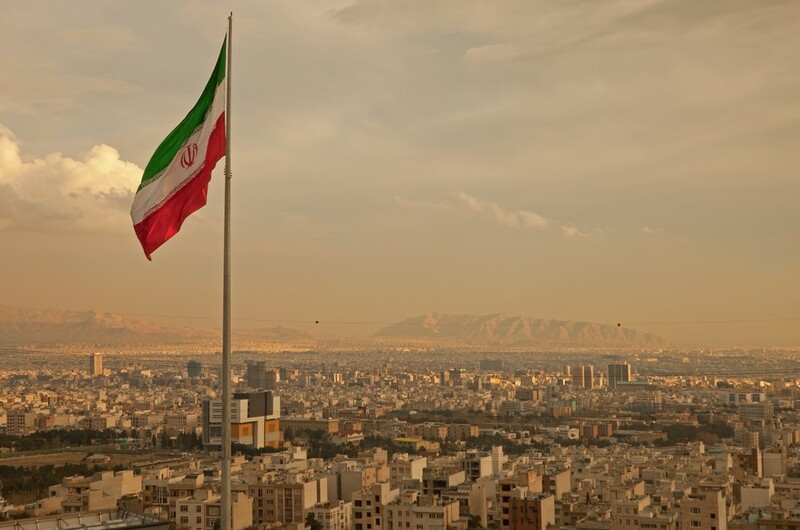 You can apply for the expedited Iran Visa service here. 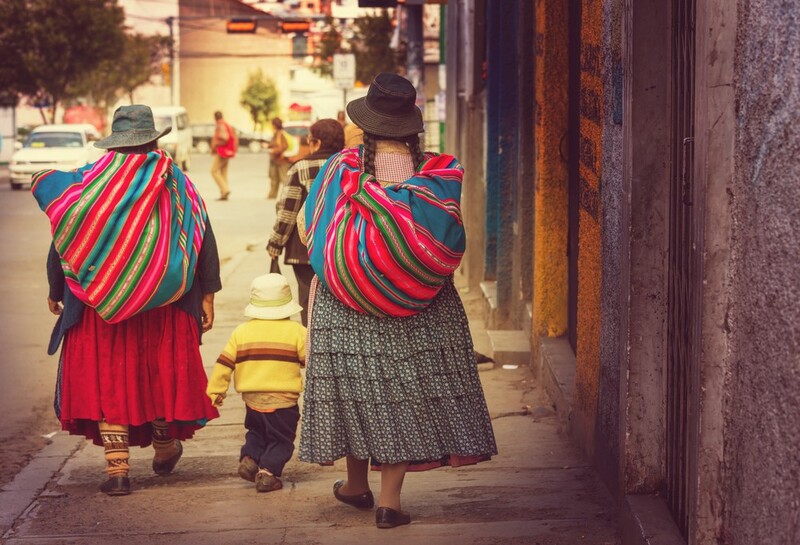 Bolivia is a diverse nation known for a stunning range of natural outdoor beauty. It is also recognized for it’s multi-ethnic culture influenced by a variety of indigenous and European roots. US citizens are required to acquire an advance Visa prior to visiting Saudi Arabia. All international visitors are fingerprinted upon arrival and travelers with Israeli visas or entry stamps will most likely be refused entry to the country. Unfortunately, Saudi Arabia does not issue tourist Visas. This is a shame due to the richness of a fascinating history that Saudi Arabia holds as the birthplace of Islam and a multitude of ancient marvels. This is also a complex visa that be processed within a week if everything is submitted to the consulates’ liking. Do not wait until the last minute to apply for this visa. Paraguay is home to an amazing amount of natural beauty, biodiversity and colonial history. This land-locked nation touches Bolivia to the north, the jungles of Brazil to the east, and Argentina to the south. To visit this exciting South American country – US passport holders can obtain a visa on arrival if they arrive via air travel. However, if they enter by land, they are required to obtain a Visa from an embassy or consulate. 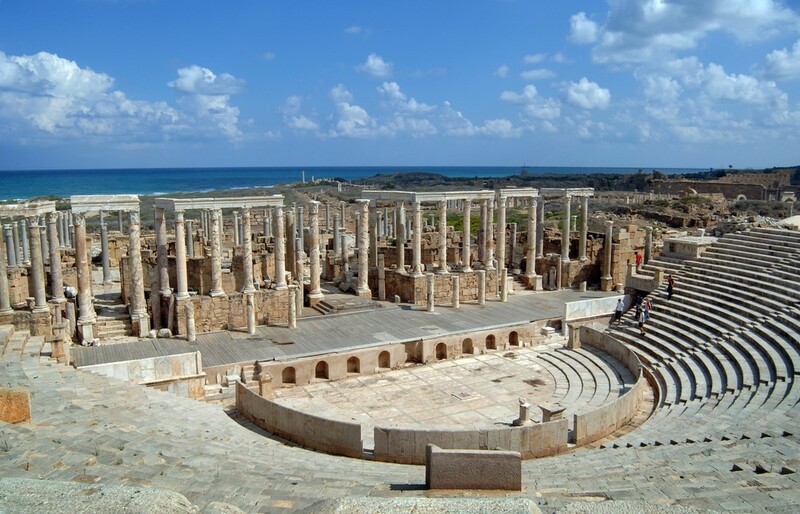 Libya has occupied an integral part in European and north African history and remains one of the most interesting countries to visit in the region. US citizens must be granted a Visa to enter Libya. Tourists are required to have the equivalent of $1,000 USD upon arrival and cannot have any Israeli stamps or Visas on their passports. 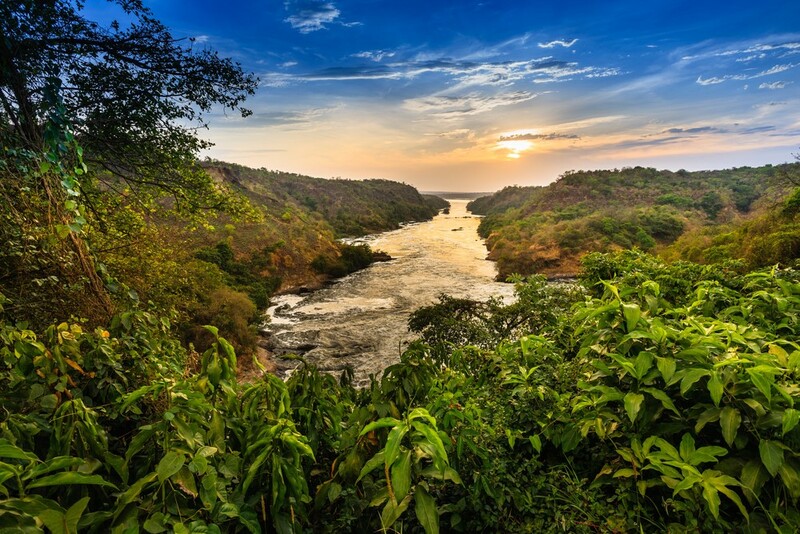 One of Africa’s most well-known destinations, Uganda is nestled in the heart of the African Great Lakes region. US visitors will appreciate the prevalence of the English language in the country and also enjoy the abundance of natural beauty in this central African nation. Visitors need an International Certificate of Vaccination to visit the country. Uganda operates an eVisa / Visa on arrival policy but has in recent years created stricter policies for international visitors. The eVisa is for single entry only, whereas if you apply at the consulate you can obtain a multiple entry visa. Ugandan authorities often require additional documentation such as a printed eVisa application, copy of a return place ticket and even proof of the visitors’ itinerary in the country. Remember, there are over 80 countries that you will need to obtain a visa to visit. Check out the Visa Service Department for details on Visa requirements by country. Keep in mind that this a complex process that takes time and patience. We provide the fastest passport and visa service around. Useful if you’re on a deadline and don’t want to miss a trip. Our online application system makes it easy – we do most of the work for you. It saves an insane amount of time and effort, instead of visiting a foreign consulate in-person. Visiting an embassy or consulate is similar to a day spent at your local DMV. Perhaps worse. If that doesn’t warn you… nothing will! On top of that, requirements and fees are subject to change without notice. If you’re not the online application type, you can visit one of our offices in person. We have offices across the USA and many are closer to drive to compared to a consulate. Our Florida customers visit our Tampa or Orlando offices instead of making a drive down to Miami. On the west coast, people dig having our San Francisco and Los Angeles offices close by – instead of visiting a consulate all the way in DC. Our offices take appointments, calls and even walk-ins. Or you can apply online. We’ll look forward to chatting soon! International traveling has increased considerably over the few years both for travel and tourism as well as for business purposes. And for international travel, having a passport is mandatory. Without this document, you will not be allowed entry in a foreign country and not be able to return to US as well. Not only this, the passport acts as a document of national identity and proof of citizenship as well. It is obvious that the important of a passport cannot be undermined in any manner.